Bicycle Pro Poker Peek Playing Cards deliver technical superiority and feature the same top quality casino paper used by the vast majority of casinos worldwide. 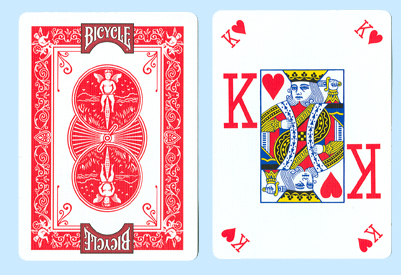 Bicycle Pro Poker Peek Playing Cards are individually cut and have a barely-visible beveled edge that grips fingers for better control during shuffling. These Poker Peek Cards combine a discrete corner pip with a jumbo-like face in the middle of the cards which enhances security at the table.